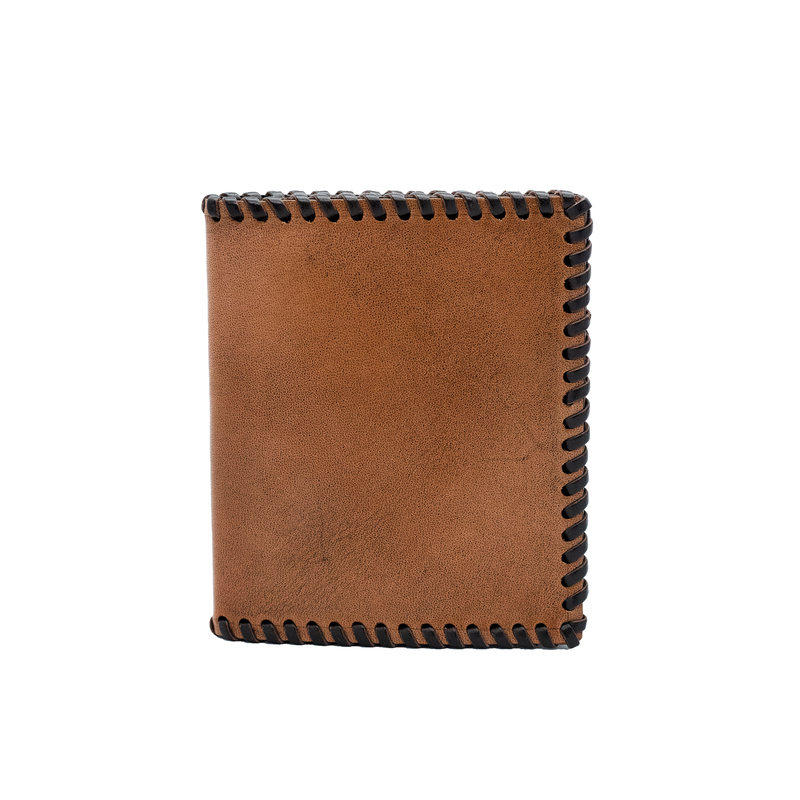 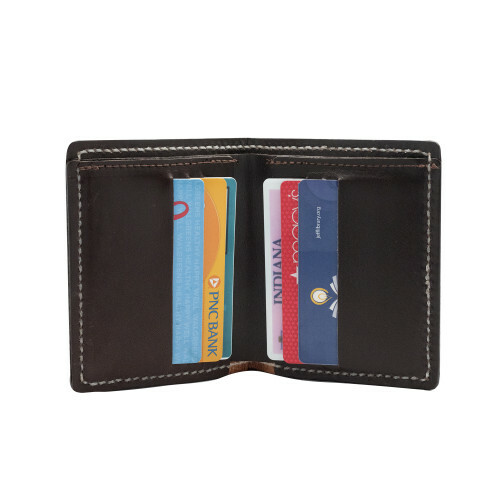 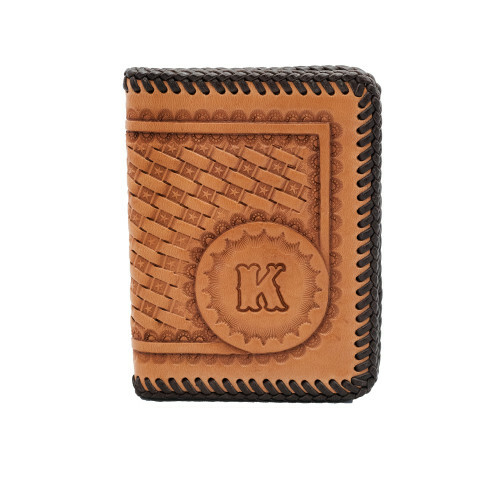 Classy designed wallet with 6 card slots and wide bill compartment. 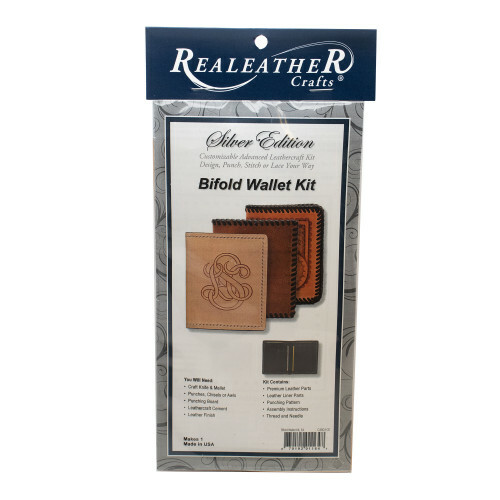 Kit includes un-punched premium tooling leather and pre-finished liner parts, step-by-step assembly instructions. This kit is for intermediate leathercrafters that want an advanced, customizable kit that can be punched, stitched and assembled your way. 4-1/2” x 7-3/4” open.